Every year, in the Gulf of California, hundreds of rays congregate to take parting in a spot of jumping. The fish, some measuring more than ten feet across, will leap clear of the water before belly-slapping back into the sea – and no-one really knows why. 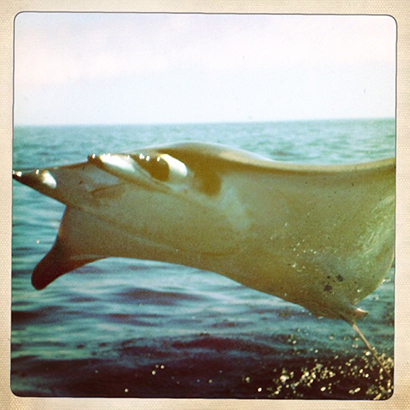 It is a behaviour trait shared by all members of the Mobula genus, and individuals have been recorded leaping more than two metres clear of the water’s surface. Some Scientists suggest it is a sign of courtship, with both sexes taking part, while other theories include a method of feeding or the ridding of parasites, but it seems set to be one of those great mysteries never to be solved.